When we eat food, we can sway our body in two different directions: Acid or Alkaline. This pH balance in your blood can affect the way you feel and think. Your blood (plasma) needs to maintain a pH of 7.35 to 7.45 for your cells to function properly. If the pH of your blood falls below 7.35, the result is a condition called acidosis, a state that leads to central nervous system depression. Severe acidosis – where blood pH falls below 7.00 – can lead to a coma and even death. Acidosis is the breeding ground for most diseases. Nepthritis or Bright’s disease, rheumatism, premature old age, arteriosclerosis, high blood pressure, skin disorders and various degenerative diseases are traceable to this condition. It seriously interferes with the functions of the glands and organs of the body. It also lowers the vitality of the system, thereby increasing the danger of infectious diseases. What many people don’t know is that acidity predominates in the Standard American Diet which is one of the reasons there is so much disease and disorder in American health. 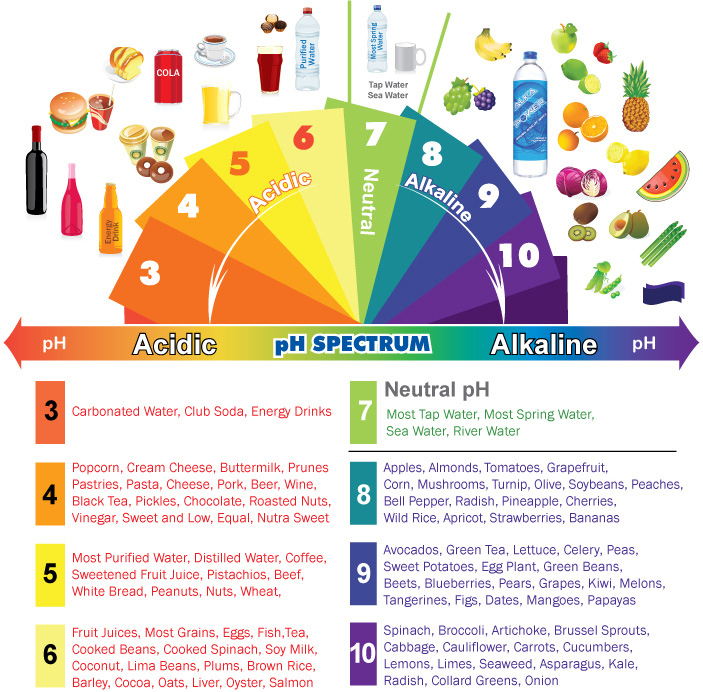 This video provides a pretty good explanation of the differences and how you can learn to recognize which foods are alkaline or acidic. Raw Superfood of the Week!